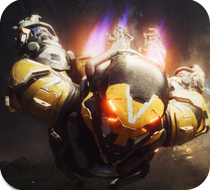 If game players do not have enough time to grind for Ranger, Colossus, Interceptor, and Storm are four optional classes on PC (Microsoft Windows), PlayStation 4 (PS4), and Xbox One platforms, please buy safe Anthem Boosting (Power Leveling) service from Joymmo.com offical website. We promise the fastest speed boosting for all classes and all platforms. If you want to level up Anthem Account fast and get decent weapons and Javelins in Anthem, you can have a try on our Cheap Anthem Boosting service online. Buy Anthem Boosting service now to enjoy our huge discount promotion.